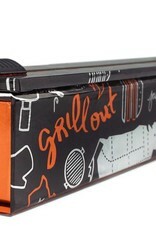 ChicWrap Foil Dispensers are designed for tough jobs like lining pans, freezing and grilling. Each dispenser includes our new CleanCut Slide Cutter for safe, effortless cutting of any 12 inch foil up to 200 feet, and comes with one 30 foot roll of professional grade HTS (Heavier, Thicker, Stronger) aluminum foil. 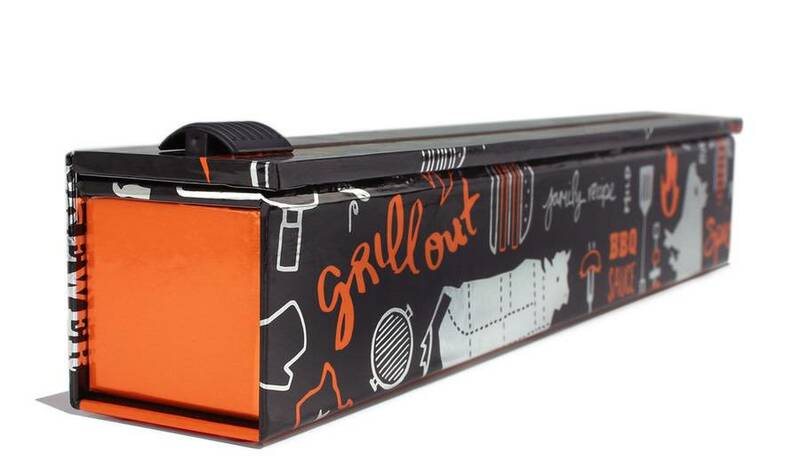 The 12 inch design comes with our new illustrated BBQ design with pops of bold orange against a metallic black background that compliments any kitchen! Like all ChicWrap products, the dispenser features a wipeable surface, reusable construction and four rubber feet to keep it secure on any counter top.